A wide angle view of the remains of Shrivenham station, taken on 29 November 2014. Note the Fat Dog pub in the background, with the former railwaymen's cottages in the background. 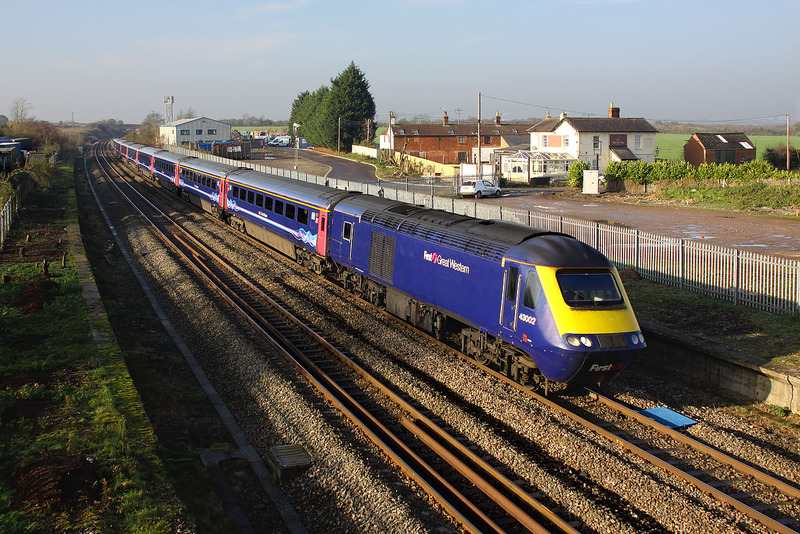 43002 races past with the 1A13 10:30 Bristol Temple Meads to Paddington First Great Western service.